You can help this wonderful group with the costs of performance supplies and instruments, including Senior Choir t-shirts for each member and their Spring field-trip with Manos kids. Please consider making a donation today, either monthly, or one-time. Click button below to make a donation in any amount. There are more than 178 million elderly individuals living in China. In the rapid urbanization of China, the exodus of the younger generations into cities continues to leave many of these elderly alone and/or often raising their grandchildren while parents are away in the migrant workforce that is so prevalent today in the life of peasant farmers in China. The village elderly have a wealth of history and culture that can unite generations and enrich the livelihood of these often forgotten, poor, remote villages, in which these elderly and young children now live. In Zhuang Tou Village, The Manos Senior Choir Program is a model program that continues to do just that! 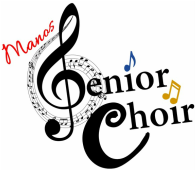 We are so very proud to support the Manos Senior Choir Program!